Chaotica is a brand new tower defense strategy game filled with generic action. Give a go, download the free Apk and have fun! 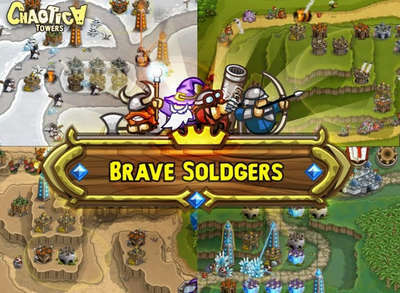 - Finally, not just towers shoot at enemies in the game, but real units, which hide behind strong walls! - The enemies are numerous and various! Rat-gnomes, skeletons, demons and slugs attack by mobs! - 4 types of your defenders, 2 magic obelisks and more than 20 options for improving and strengthening! - A lot of interesting features on the arrangement and using fire points. - Train the defenders of the towers, place the obelisks and smash hordes of enemies! 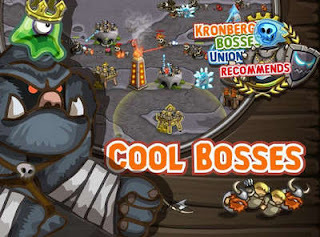 - Free Kronberg in military companies of different levels of complexity or select "survival" mode. - Do not miss the moment! First, they are quiet and small, but then they run up! Hurry up to build defense! - All of the upgrades cost the same. Improve soldiers for maximum!